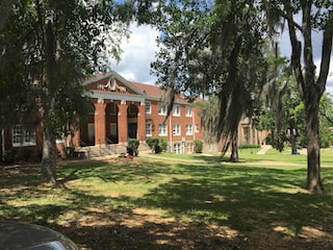 Tougaloo College and other sites near Jackson will host our meetings. We will lodge at the Hilton Jackson in Jackson.​ The motel is within walking distance of Tougaloo College although this involves crossing the interchange over a major highway. Rooms at the Hilton Jackson include either a king-size bed or two queen-sized beds. We have reserved 20 king and 40 queen/queen rooms. Each room has WiFi, a coffee maker, an iron and ironing board, voicemail, a 32” flat screen TV and a hair dryer. A buffet breakfast is included with the room fee (including tax). Gratuity is not included and is the responsibility of the diner. The hotel has a fitness room and a pool. The best ways to travel to Jackson are by air or train. You can fly directly to the Medgar Evers Jackson International Airport (airport code: JAN/KJAN) which is approximately 15 miles from the hotel. Recommended alternatives include flying to New Orleans or Memphis and taking train, bus, or car to Jackson’s Union Station (Amtrak, Station Code: JAN) which is located approximately 10 miles from the hotel. Jackson’s Union Station is a key stop on lines from Chicago and New Orleans, among others. Shuttle transportation to and from the airport and Union Station (train/bus) to the hotel will be coordinated for times that coincide with most arrivals and departures. There is no additional cost for shuttle transportation. Meet all airport shuttles outside of the baggage claim (curbside). Driver and/or assistant will have a sign. If your transportation schedule does not accommodate the shuttle, the cost of private transportation to and from the airport to the Hilton Jackson is approximately $50. If you drive or rent a car, parking at the hotel is free. Jackson-Medgar Wiley Evers International Airport (Airport Code: JAN/KJAN) located approximately 15 miles from the hotel. Union Station (Amtrak, Station Code: JAN) located approximately 10 miles from the hotel. Recommended alternatives include flying to New Orleans or Memphis and taking train, bus, or car to Jackson. The registration deadline for those staying at the hotel is January 25, 2018 unless all rooms fill before that date. Registration will close on January 30, 2018 for those not staying at the hotel. The meeting fills very quickly and registration is on a first come, first served basis. Rooms are available from Thursday evening through Sunday morning. Please note that we do not offer an option to register and attend only one day of the weekend. If you plan to stay overnight, we ask that you register for the full weekend. Full registration refund is given for cancellations up to or on January 15, 2018, thereafter refunds will be decided by the Finance Committee of the Planning Committee. Water Bottles: In an order to avoid as much plastic as possible, please bring your own water bottle. The NDSG values diversity, inclusion and equity. To increase access to our gatherings, a limited number of scholarships are available to those who need financial assistance to attend. We expect those who receive financial aid to contribute at least partially to the Annual Meeting costs. In your application, please include your background, what you are doing now, and why you would like to attend the NDSG Annual Meeting. Please be specific about the amount you need. 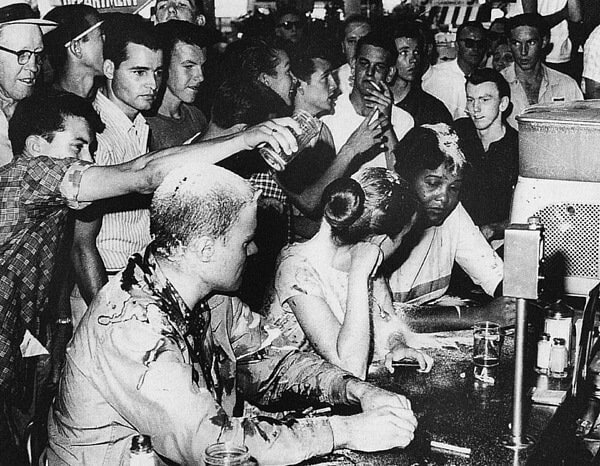 Submit requests for aid in writing to Mary Harris at mary.harris@unt.edu. If awarded, you will receive a special code for registration. Please consider helping others, who without financial aid, could not attend the Annual Meeting. Your contributions are vital to sustaining this event. No contribution is too small. Please add your support for financial aid to your registration cost during online registration.